Last week Akkineni Nageswara Rao (ANR) turned 85, an occasion to celebrate the longevity of the “evergreen hero” of Indian Cinema (Dev Anand, one of the other so called evergreen heroes, is really a caricature in the last few decades, whereas Dileep Kumar has stopped acting in films 15 years ago). It is also a sad reminder that ANR is perhaps the last man standing among the golden oldies of those great Telugu movies of 1950’s and 60’s. To my knowledge, Gummadi Venkateswara Rao is the only other person who is chugging along. And, who would believe that Gummadi is 3 years younger than ANR. My father is great fan of ANR. So its natural that from a very young age I was made aware of many aspects of ANR’s films and his persona. 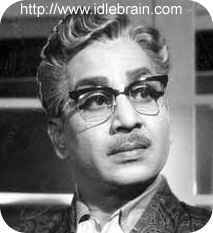 Though I had a great liking and love for films in general and Telugu films in particular, in my younger days ANR’s films did not appeal to me as much as NTR’s or “Superstar” Krishna’s. In those years ANR’s films were also pretty formulaic (Dasari was director of most of those movies) and are not among his best. In the later years when I had a chance to watch ANR’s great work in the 50’s and 60’s, I started admiring his acting prowess. 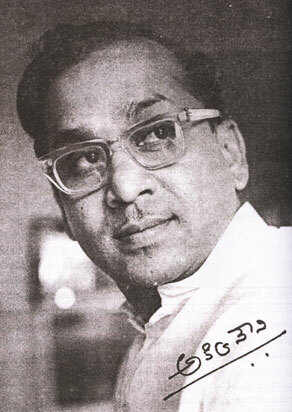 It was then I started realizing the gigantic nature his achievements in the years when the Indian film industry itself was blessed with “one in a generation” actors such as NTR, MGR, Sivaji Ganesan, Rajkumar (Kannada), Prem Nazir (Malayalam), Uttam Kumar (Bengali), and Dileep Kumar (Hindi), to name a few. 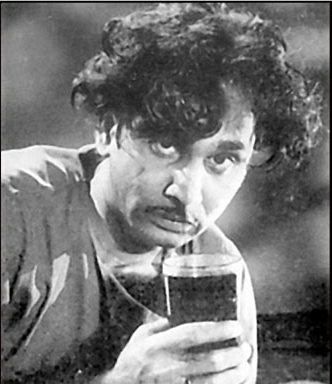 A case in point was his show in Devdas and Batasaari that apparently prompted the likes of Dileep Kumar, Uttam Kumar and Sivaji Ganesan to say “only ANR can better those performances”. Still, it is only in the last 2-3 years that I have made acquaintance with many lesser known gems of ANR (thanks to my home theater system), when I started collecting Ghantasala’s songs in MP3 format. That exercize made me realize the sheer prolificity with which ANR delivered musical hits that had style as well as substance. There was a program in ETV-2 on September 20 (ANR’s birthday) in which the anchor recalled all major hits of ANR in chronological order. Between 1955 and 1970, ANR delivered 70+ major hits (needless to say, most of them are musical hits). Seventy-odd hits in 16 years in no mean achievement. Ask any of ANR’s contemporaries in Indian Cinema. Rajendra Kumar, considered as most successful hero in Hindi films, has 50-odd hits from 87 films. ANR acted in 140-odd films during 1946-1977 and delivered 92 hits, most of them with ANR in the kind of roles that Rajendra Kumars of this world can only dream about. Even NTR, for all his talent and charisma, could not match ANR’s strike rate for most of his career (NTR’s golden patch, in terms of regular hits, began only with Adavi Ramudu). The reasons are two-fold: 1) ANR is a great actor and was even better in choosing the right kind of production houses to work with, 2) NTR has not been so smart. ANR has always managed to be the first choice for leading production houses of that time, except Vijaya productions who had a multi-year contract with NTR. That’s why ANR is the hero in most of the films made by Bharani pictures (of Bhanumathi), Anjali Pictures (of Anjali devi), Prasad Art Pictures, Annapurna Pictures (ANR’s own production house in partnership with Dukkipati Madhusudhana Rao), Jagapathi Pictures, etc. In contrast, NTR’s best was manifested only in films made by Vijaya Productions (Pathala Bharavi, Missamma, Gundamma Katha, Jagadeka Veeruni Katha, etc.) and his own productions (NAT productions) – Panduranga Mahathyam, DVS Karna, etc., or the films made by Pundareekakshaiah (his brother-in-law) such as Pandava Vanavaasam. 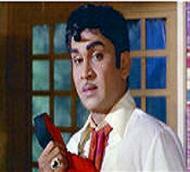 Most of NTR’s films in 60’s and 70’s were made by new producers, and the results were disastrous. That’s why among NTR’s 320-odd films, one can not recall more than 30-odd good films (here I am not counting post-Adavi Ramudu hits that were height of gaudiness and overacting). Since late 70’s, as mentioned previously, ANR’s films were more formulaic and thereafter ANR started acting in roles that befitted his age. A shrewd man he is, ANR had slowly eased himself out of films and was last seen in “Sri Ramadasu” in a small but important role of “Kabir Das”. ANR’s greatest achievement must be that he was able to hold his own position in spite of being no match for NTR in looks or physique or voice. P.S: There some better entertainers among ANR’s films (such as Iddaru Mitrulu), but the films listed above have showcased various hues of ANR’s talent. This post is exclusively for the benefit of Hyderabadis who love their malt or pint. In the past 4-5 years I could not help but notice the steep rise in the liquor rates in all the Bars and Pubs in Hyderabad, and more so in so called “Cyberabad” area of Ameerpet, Panjagutta, Banjara Hills, Jubilee Hills, Madhapur and Gachibowli. Agreed that the cost of living in general has increased steeply in Hyderabad in last few years. That still does not justify 3 to 20 times premium that these bars and pubs charge over wine shop prices. A.P. government apparently makes Rs. 30,000 crores per year from the license fees, excise tax and sales tax collections from the wine shops and bars in the state. The bars and pubs in Hyderabad are also doing their bit to complete this loot of poor drinkers. Sarovar bhaba – located on Miyapur-Bachupally road. Simple ambience and good food. Non veg snacks/curries cost Rs. 80-90 per plate, the veg ones Rs. 40-50 per plate. You, of course, bring your own booze. Hamsafar Dhaba – near Bahadurpally junction on Nizamabad/bodhan road, very close to Satyam Technology Center (STC). Simple ambience, large seating area and good food. Non veg snacks/curries cost Rs. 80-90 per plate, the veg ones Rs. 40-50 per plate. Their biryani is yummy. You, of course, bring your own booze. Basera Dhaba and Classic Bhaba, Medchal highway – Among the best on Medchal highway for quick service. I found the bigger ones (such as Sony Dhaba) to be very slow on service. The food and the prices, in my view, are similar in all dhabas located on Medchal highway. Non veg snacks/curries cost Rs. 140-160 per plate, the veg ones Rs. 80-90 per plate. You, of course, bring your own booze. Suraj Biryani point, in Moula-Ali Housing Board Colony – Try this out when you have a few friends with you: order for a jumbo mutton biryani here, and while he prepares the table for you (which takes 15-20 minutes) hop over to the wine shop next door, buy some beers, finish them in a large seating area behind the wine shop, and return to Suraj to dig into piping hot mutton biryani. Trust me this is a good package.. Host, at Daimond point, Sikh village, not very cheap, but amazing food and “Best Biryani in a Bar”. Sudharshan Bar & Resturant, Naryanguda Crossroads. Great food and booze. You are currently browsing the keep a nagging line blog archives for September, 2008.